As explained and discussed during our last General Assembly in Brussels, 2018 will be a year of transition for NEM. A year of transition as we have launched several initiatives that the new elected Steering board has on its agenda. A year of transition as the European Commission is also preparing the future through its new Research & Innovation framework program Horizon Europe. A year of transition as our NEM initiative will pave the way through its refresh Vision and Strategic Research & Innovation Agenda, through its position papers to come, through its next NEM summit that will be organized in 2019. The last decade was amazing years where innovation transform the world. I am convinced that the next decade will also be a surprising period. Content remains king whatever some were thinking about. Content is everywhere, which constitutes enormous opportunities and challenges for our NEM community. It was a great pleasure for me to chair our NEM initiative since 2007 as Executive Director and 2011 as Chairman of the Board. New global functions within Technicolor force me to step down from our NEM initiative which brought me with a lot of souvenirs, souvenirs made of the NEM visions we pushed from the Networked Electronic Media to the New European Media embedding now the Creative Industry sectors to the Media & Content Industries, souvenirs made of the corresponding SRIAs we elaborated and of the Immersive & Interactive Content public private partnership we proposed, souvenirs with the 10 NEM Summit we organized, with the growth of the community to more than 1000 members, with the implementation of the cluster of clusters concept and the launch of our NEM Ambassador network, with being one of the most active or even the more active European Technology Platform on social networks, with the dense and intensive discussions we had all along our Board meetings and General Assemblies, and among all, with all the personal interactions I had with a lot of you. I wish a great success for the years to come to all of you. 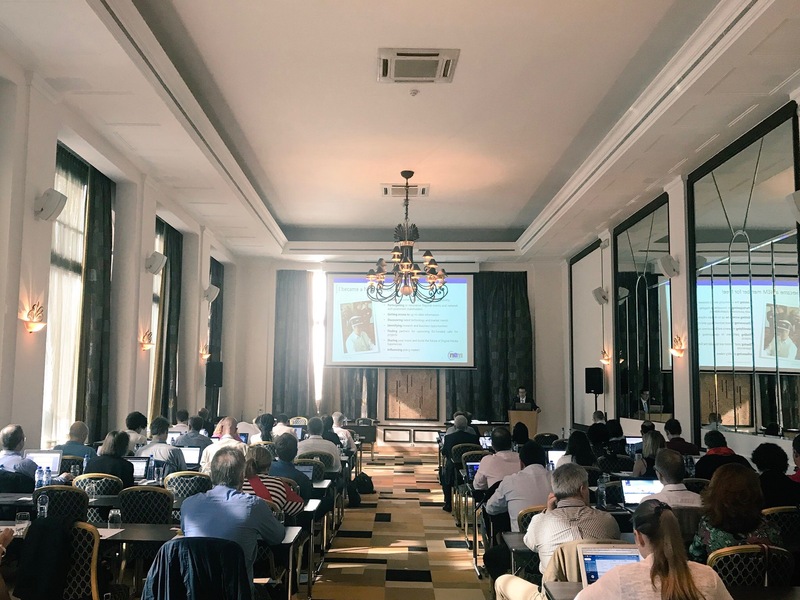 The 25th NEM General Assembly was held in Brussels on the 30th of May 2018. The GA was opened by Jean-Dominique MEUNIER, NEM Chairman and Halid HRASNICA, NEM Secretariat, presented the agenda. Anni HELLMAN, deputy head of unit “Media Convergence & Social Media” at the EC presented the recent activities of her unit in research and policy arenas and gave information about ongoing projects in the media area and closed and open topics for collaborative projects. Mr. Albert GAUTHIER addressed the GA on behalf of Mr. Federico MILANI, deputy Head of ED DG CONNECT Unit-Data applications and creativity. He presented the upcoming call for projects ICT-25 with a deadline set to 14th November 2018. Mr. GAUTHIER also presented the next H2020 call on “Cultural Heritage, Interface”, the challenges, the opening date and the deadlines. Pierre-Yves DANET, NEM Vice-chair then presented the NEM strategic research and Innovation Agenda 2018, various activities on development of the NEM Strategy. To end this GA, the new NEM Ambassadors were introduced, the future directions of the NEM Initiative were given and NEM partners presented upcoming events in the network. Program of the 25th edition of the NEM General Assembly and presentation slides from the event are available here! The NEM Steering Board for the term in office from spring 2018 until spring 2020 was elected on 29th May 2018 in Brussels, a day before the NEM GA. As the number of candidates for the new Steering Board was not higher than number of open positions in the Steering Board, all proposed candidates have been elected by acclamation, in accordance with adopted election rules. Find the full list of the new members here. During the ICT LIVE Expo, Vital Media was invited to present two sessions on 5G. ICT Live International IT and Mobile Expo 2018, welcomed companies providing IT and mobile solutions for all sectors of the international market. The aim of this event is to show Central Europe as a modern and innovative region, following the newest trends and technologies and open to a global cooperation. Almost 25 persons attended these sessions. In introduction to these session, Vital Media and NEM Initiative have been presented in front of the audience. The aim of Vital Media participation to this event was to enlarge the NEM community to Eastern Europe. In April 2018, Digital Catapult, in collaboration with Technology Ireland Innovation Forum, Trinity College and ADAPT Centre Dublin, designed and delivered an Open Call and workshop on the theme of ‘future social media’ as part of the Vital Media project. During the project duration, Digital Catapult has delivered two networking events within the UK and Europe to facilitate collaboration between technologists and creative content makers, and to create a roadmap for digital media content and media innovation. A snapshot report from the first event held in April 2017 can be found at https://nem-initiative.org/wp-content/uploads/2017/05/new-realities-report-presentation-april17.pdf. The report and roadmap from Digital Catapult’s second event that ran last month in Dublin can be found at https://nem-initiative.org/wp-content/uploads/2018/05/future_social_media-report_roadmap-21may2018_final-.pdf. The Open Call and workshop went really well and there was a very positive working relationship with the Irish partners – Trinity College, ADAPT Centre and Technology Ireland Innovation Forum. Some really interesting insights came out of the workshop by expert contributors/speakers, the participants and the three Open Call finalists’ companies. On the 21st of June, Futur.e.s in Paris festival hosted an NGI/NEM event organized by Cap Digital and supported by the Vital Media project. The purpose of this event was to address different points raised by the NGI (Next Generation Internet) Initiative while keeping in mind the various perspectives of the Futur.e.s festival. During this meeting Olivier Bringer took the floor to present the NGI flagship initiative by focusing on the key of NGI in order to involve internet innovators. He emphasized that at the beginning of 2019, Open Calls will be dedicated to internet innovators. He briefly underlined that NGI calls also support cross-continental actions as such the call ICT-31 : EU-US Collaboration. During the debate different visions were put forward: the entrepreneur, the technologist, the lawyer and the European Commission all had their word to say. Through 4 key topics, the speakers discussed: governance, cross-border Internet, business models and education, culture and citizens’ awareness. This gave a full picture of the different issues that Open data raises and how the NGI initiative handles it. To conclude the meeting, Monique Calisti emphasized that NGI Initiative has created a community and tools for the community to access in an effective way. Briefly, she described the various NGI lnitiatives : NGI Map, consultation on NGI, excellence in NGI, the upcoming Open calls funded by ICT-24 NGI OPEN INTERNET CALLS. Finally, she invited the audience to join the NGI community by participating in the next NGI forum on 13th September 2018 in Porto. The handbook of Convergence and Media Ecosystems in Europe – prepared with the support of VITAL MEDIA project – has been delivered. The handbook presents a map of past and running projects in media convergence in Europe. The result of the snapshot enables to identify the stakeholders and the European regions active in European media convergence projects. In addition, a section is dedicated to the Ambassadors’ countries by emphasizing the opportunities and the challenges of each territory. One of the goals of the project was to enlarge the NEM community. This handbook also aims at fostering our community by considering the potential of the prioritized countries and inspire new consortia with these countries. We hope it will provide you a better understanding of the media ecosystem in Europe and encourage stakeholders of the prioritized countries to join our NEM community. This handbook can be fully accessed and downloaded on the NEM website. The Vital Media team invites you to disseminate it on a large scale. In the past 3 months, we have had the pleasure to welcome 4 new ambassadors who will be promoting the NEM Initiative in their respective regions. We are happy to have our 4 new ambassadors from Azerbaijan, Belarus, Croatia and Lithuania. The Regional Innovative Technologies Academy (R.I.T.A. ), ICT&FET NCP of HORIZON2020 in Azerbaijan, was established in 2003. Main fields of its activity are consulting, project management, e-government and IT training courses, software development, optimization and control, system analysis, mathematical modelling, management and information processing. The team consists of mathematicians, physicists and specialists with experience in solving problems in mechanical engineering and aviation, proposing solutions for high-technology problems. Sven in specialized in integrated marketing communications in Croatia and has relevant experience as a communications consultant in the PCO agency ATI. He has founded a number of multi-channel projects such as Like Croatia, H2O Summit, MAdD Art & Science, Artist on Vacation or smart-internet. 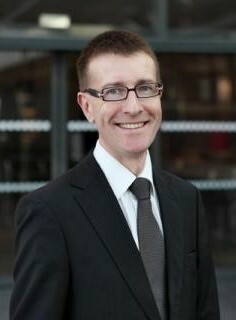 In addition, he was involved in marketing and corporate communications at media company Europapress Holding (EPH). Created in 2008, the Association of Creative Industries Leaders of Lithuania is a cluster in cultural and creative industry located in Vilnius. It aims at promoting sector clustering and acts as a cluster of creative industries networking in Lithuania. It is actively involved in regional networking projects in the Baltic Sea Region. The Next Generation Internet (NGI) initiative, launched by the European Commission in the autumn of 2016, aims to shape the future internet as an interoperable platform ecosystem that embodies the values that Europe holds dear: openness, inclusivity, transparency, privacy, cooperation, and protection of data. The NGI Forum aims to gather those actors whose work and active engagement in various policy, research and innovation areas are paving the way to design, build and refine the Internet of tomorrow and will offer the opportunity to share knowledge with leading experts from a variety of disciplines, including artificial intelligence, blockchain, privacy and trust, decentralised data governance, discovery and identification, interactive technologies, media and more. The event will host prominent personalities and European Commission representatives that will present upcoming funding opportunities in the NGI context. While attending, you can contribute to the dialogue on the best way to build the Next Generation Internet. The event will include a mix of specialist talks, open discussions and interactive working groups, with an emphasis on stimulating discussion and the free exchange of ideas between researchers, SMEs & startups, industry players, policy makers, and civil society. Looking forward to building a better Internet with you! For any more news regarding the NEM Initiative, please visit our website.